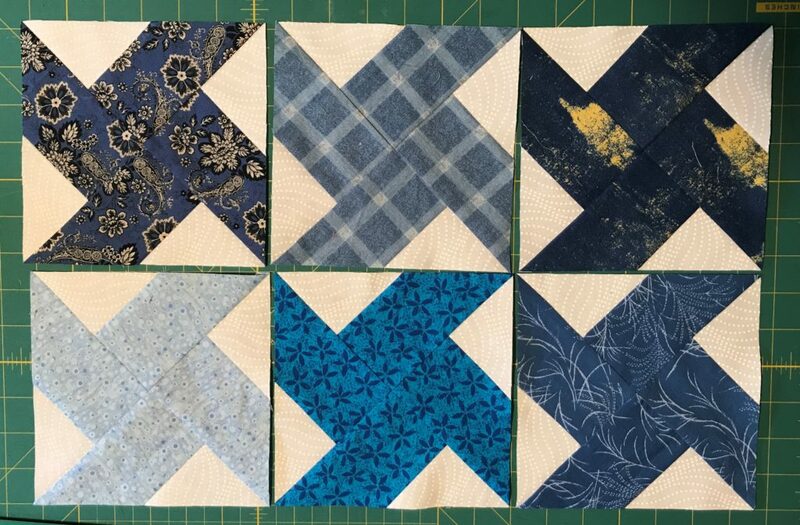 Here are my 6 blocks — I had never made this pattern before and I really enjoyed it. Great instructions, Kathie! Thanks Julie. I love your variety of blues.